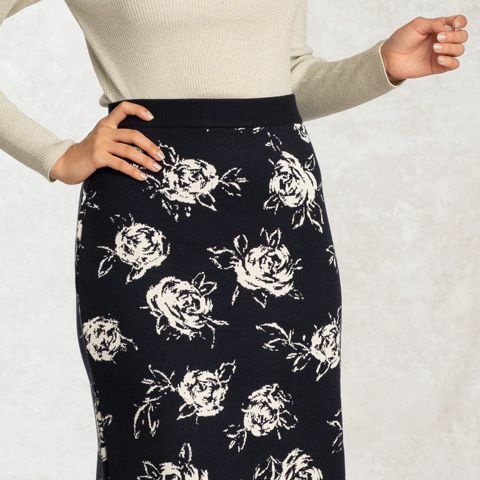 Knitted in Niigata, northern Japan, our warm and washable knit skirt features a beautiful jacquard rose design. 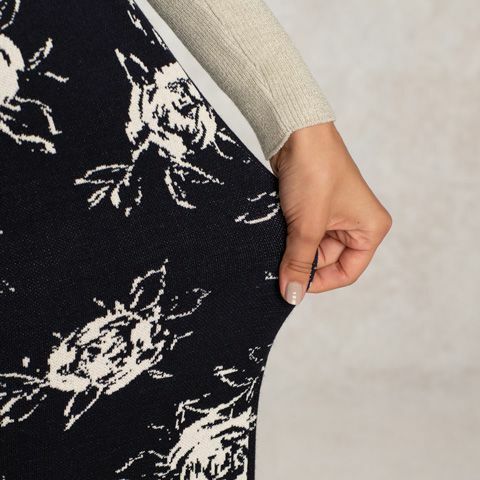 Soft and warm, our washable knit with rose design is specially woven in Japan. Expertly handmade in Japan using artisan techniques. 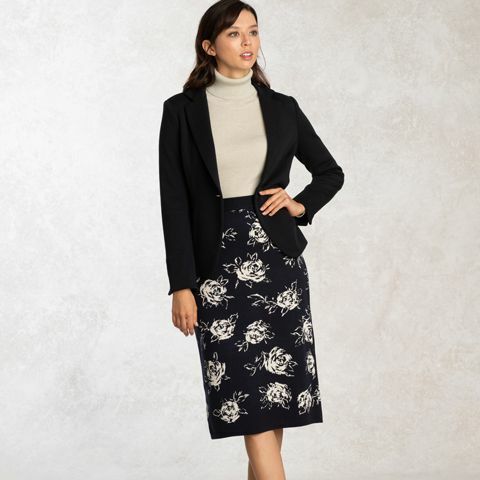 Dense knit creates an elegant silhouette. 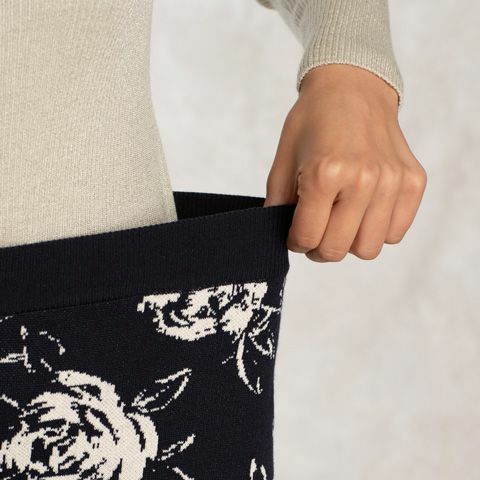 The well-fitted waist uses specialist knitting for elasticity and comfort. Wear with matching knitwear or our riders jackers for timeless chic.